What I didn't realize was that it was nestled into Gotham West Market - an adorable incubator of food concepts on 11th Avenue between 44th and 45th. Upon entering, I went all wide-eyed and wanted to try everything. After all, there are eight different artisanal food purveyors and it's really hard to decide where to focus. 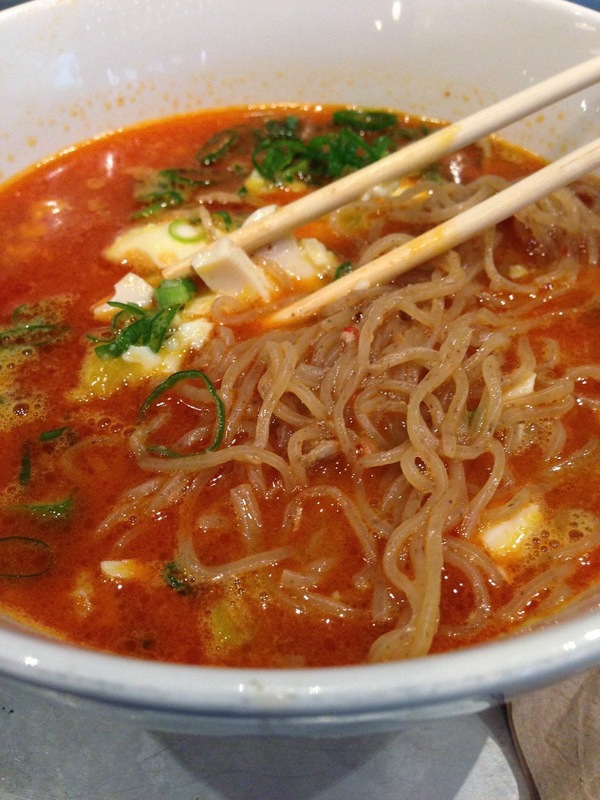 But, I was on a mission, so I sidled up to Ivan Ramen's and ordered the Spicy Red Chile Ramen... mostly because it sounded like a dare. It was hearty, spicy, delicious... and certainly cleared the sinuses. It came with minced pork and smashed egg, so I thought adding pork belly and egg might be too much. Next time, I'd go big and layer those on too. The richness would balance out the heat. After that, I wandered around plotting my course for the next visit to Gotham West Market. I think Cannibal or Genuine Roadside will be the next target. (I'd add Blue Bottle Coffee, which is fantastic, but I've already been there on the West Coast.) 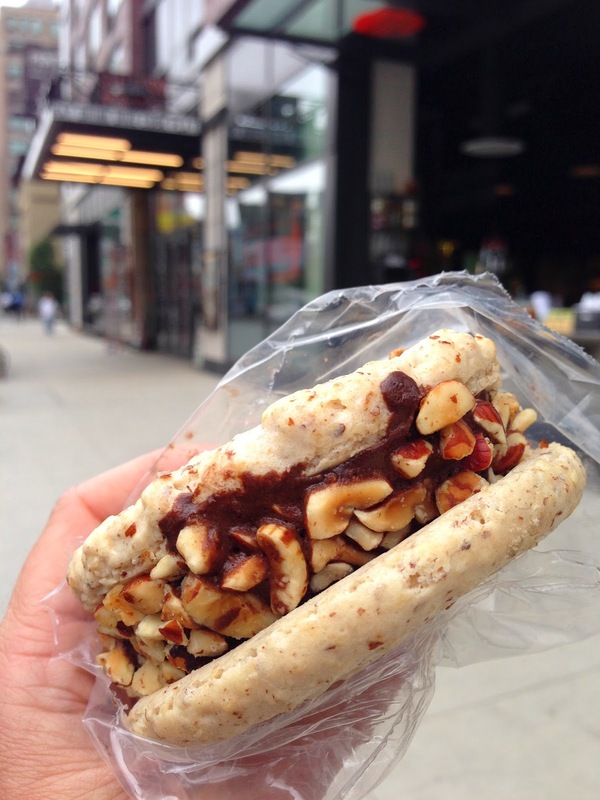 I did get sucked into the Brooklyn Kitchen food market and shop where I took home a bottle of Mike's Hot Honey and this amazing macaron chocolate hazelnut ice cream sandwich by Jeni's. Thank God I'm not local. I'd be scouting condos to live above this gluttonous paradise.